**If you are a dealer filling out this form for an end user, please select the 'I am the Customer / Enduser' selection." Please enter purchase date and the last 8 characters of the VIN #. To enter multiple trailers, use the '+' button. NOTICE: Warranty registration can be completed online at www.felling.com/partsserver/warranty/ or by returning warranty registration card via mail. Federal regulations require motor vehicle manufacturers to maintain a record of the original owners of their equipment. Felling Trailers, Inc.’s warranty registration completes this guideline. Please make every effort to complete registration promptly, to ensure proper documentation is on file for the purchased trailer. Failure to complete warranty registration will void Lifetime warranty, a limited one-year warranty will start from the date of shipment to the original dealer and will extend to 12-months after that date. Limited Lifetime Warranty will then be three (3) years from the date of manufacture. Felling Trailers, Inc., Lifetime Limited Warranty is good on all new trailers built on or after the effective date. WARRANTY: Felling Trailers, Inc. warrants your trailer will be free from defects in materials and workmanship, to the original purchaser. The trailer warranted hereunder must be operated by the purchaser in accordance with the practice approved by Felling Trailers, Inc., with loads not exceeding the manufacturer’s rated capacities and subject to all terms and conditions of this limited warranty. NOTE: Warranty start date will be the sooner of one (1) year from manufacture date or the beginning of in service purchase date, whichever comes first. A copy of this signed warranty must be returned to Felling Trailers, Inc. at the address listed within 10 days of the date of purchase or all warranties will be pro-rated. Warranty Registration can be completed online at www.felling.com/partsserver/warranty/ or can be mailed to: Felling Trailers, Inc. Warranty Department, 1525 Main Street South Sauk Centre, MN 56378. Fax information to: (320)352-5230. Email information to: warranty@felling.com. Note: All warranty work must be pre-authorized by Felling Trailers, Inc. Warranty Manager. Failure to do so will result in no warranty payment of any kind. Labor amounts will be determined from the flat rate shop manual, not to exceed $75.00 per hour. Contact the Warranty Manager to verify your labor rate. Felling Trailers, Inc.’s sole obligation under this warranty shall be limited to repairing or replacing, at its option, in accordance with the schedule below. Any defective part of the warranted trailer, which shall be returned to Felling Trailers, Inc.’s factory location or authorized service facilities within the applicable Lifetime Limited Warranty time frame, twelve (12) years (tag trailers), six (6) years (king pin trailers) from the date of delivery to the original trailer purchaser, and which Felling Trailers, Inc.’s examination shall disclose to its satisfaction to have been defective; provided, that the purchaser notifies the Warranty Department immediately upon identification of defect, and such a defective trailer is returned by the purchaser to a location authorized by the Warranty Department of Felling Trailers, Inc. with transportation and freight charges prepaid. The customer may be required to deliver the defective trailer to Felling Trailers, Inc. if the trailer was destroyed as a result of a defect covered in this warranty and the Felling Trailers, Inc. Warranty Department is reasonably satisfied that the trailer was defective at the time of the sale. PURPOSE, AND OF ALL OTHER OBLIGATIONS OR LIABILITIES ON THE PART OF FELLING TRAILERS, INC. THIS FELLING TRAILERS, INC. WARRANTY GIVES YOU SPECIFIC LEGAL RIGHTS, WHICH VARY FROM STATE TO STATE. Lifetime Limited Main Frame Warranty*: Felling Trailers, Inc. warrants the trailer main frame (frame, cross members, gussets, beavertail, and tongue/gooseneck) for the Lifetime* of the trailer to the original licensed owner to be free of defects in material and workmanship. LIFETIME Warranty Definition: twelve (12) years on tag trailers 50,000 lb. capacity and down, six (6) years kingpin trailers 50,000 lbs. and larger. This LIFETIME Warranty does not cover components supplied by manufacturers (see below). LIFETIME*: twelve (12) years on tag trailers 50,000 lb. capacity and down. LIFETIME*: six (6) years king pin trailers 50,000 lbs. and larger. Absorbers, Electrical, Cylinders, Hydraulic Hoses & Connections, Landing Gear. 12 Months 100% Over 12 Months – see component supplier warranties. Warranty claims must be made directly to Tire manufacturer. IV. Paint Warranty. Does not cover Wear, Misuse, Rock Chips, Deterioration and/or Damage from Road Elements, Improper Wash Solvents, Salt, Sand and/or Weather Conditions. Any Damage Caused by or Attributed to any act of God whatsoever is not covered by Manufacturer’s Warranty. Your maintenance schedule shall be followed as dictated according to the appropriate manufacturer, to keep the warranty in force. The maintenance schedule is in your trailer packet. Any modification, alteration or repair to any product manufactured by Felling Trailers, Inc. without their prior knowledge and consent, will void manufacturer’s warranty. This warranty does not expand, enlarge upon or alter in any way, the warranties provided by the original manufacturers and suppliers of component parts and accessories. All other warranties, if any, extended by the makers and suppliers of component parts, accessories, or other goods included in the manufacture of Felling Trailers, Inc.’s product will be assigned, if contractually permitted to the purchaser. This warranty excludes such parts or accessories which are not defective but may wear out and have to be replaced during the warranty period, including, but not limited to normal wear items, light bulbs, paint, brake lining, brake drums, decking and the like. (Tire Warranties are expressly excluded from Felling Trailers, Inc. warranty herein.) Purchaser is expected to pay for all repairs or replacement costs including any applicable freight in connection with this agreement, including sales and other taxes immediately upon completion of work performed. The warranty claim will be reviewed by Felling Trailers, Inc. or the applicable vendor. If found to be covered by the said warranty and within the specified warranty time frame the customer would receive reimbursement of all or partial fees previously paid not including freight charges. LIMITED OF LIABILITY: Felling Trailers, Inc. shall not be liable to purchaser for any incidental or consequential damages suffered by purchaser, including, but not limited to, any commercially reasonable charges, expenses or commissions incurred in connection with effecting cover or any other reasonable expense incident to the delay or other breach of warranty by Felling Trailers, Inc., any loss of or damage to any cargo loaded or shipped in or on our trailer, loss of anticipated profits, transportation expenses due to repair, non-operation or increased expense of operation costs of purchased or replaced equipment, claim of customers, cost of money, any loss of use of capital or revenue, or for any special damage of loss of any nature arising at any time or from any cause whatsoever. Some States do not allow the exclusion or limitation of incidental or consequential damages, so the above may not apply to you. LIMITATION OF REMEDY: In the event of Felling Trailers, Inc. failure to repair the trailer subject to the warranty contained herein, the purchaser’s sole and exclusive remedy against Felling Trailers, Inc. shall be for the repair or replacement of any defective part or parts of the trailer subject to work or repair within the time period and manner set forth herein. This exclusive remedy shall not be deemed to have failed of its essential purpose so long as Felling Trailers, Inc. is willing and able to repair or replace defective parts in the prescribed manner. This warranty is not transferable by the original purchaser. Felling Trailers, Inc. reserves the right to modify or improve its products covered by this warranty. III. Tires Warranty claims must be made directly to the tire dealers. IV. Paint Warranty. Does not cover Wear, Misuse, Rock Chips, 3 Years 100% Deterioration and/or Damage from Road Elements, Over 3 Years 0% Improper Wash Solvents, Salt, Sand and/or Weather Conditions. Any Damage Caused by or Attributed to any act of God whatsoever is not covered by Manufacturer’s Warranty. Your maintenance schedule shall be followed as dictated according to the appropriate manufacturer, to keep the warranty in force. The maintenance schedule is in your trailer packet. Any modification, alteration or repair to any product manufactured by Felling Trailers, Inc. without their prior knowledge and consent, will void manufacturer’s warranty. This warranty does not expand, enlarge upon or alter in any way, the warranties provided by the original manufacturers and suppliers of component parts and accessories. All other warranties, if any, extended by the makers and suppliers of component parts, accessories, or other goods included in the manufacture of Felling Trailers, Inc.’s product will be assigned, if contractually permitted to the purchaser. This warranty excludes such parts or accessories which are not defective but may wear out and have to be replaced during the warranty period, including, but not limited to normal wear items, light bulbs, paint, brake lining, brake drums, decking and the like. (Tire Warranties are expressly excluded from Felling Trailers, Inc. warranty herein.) Purchaser is expected to pay for all repairs or replacement costs including any applicable freight in connection with this agreement, including sales and other taxes immediately upon completion of work performed.The warranty claim will be reviewed by Felling Trailers, Inc. or the applicable vendor. If found to be covered by the said warranty and within the specified warranty time frame the customer would receive reimbursement of all or partial fees previously paid not including freight charges. LIMITED OF LIABILITY: Felling Trailers, Inc. shall not be liable to purchaser for any incidental or consequential damages suffered by purchaser, including, but not limited to, any commercially reasonable charges, expenses or commissions incurred in connection with effecting cover or any other reasonable expense incident to the delay or other breach of warranty by Felling Trailers, Inc., any loss of or damage to any cargo loaded or shipped in or on our trailer, loss of anticipated profits, transportation expenses due to repair, non-operation or increased expense of operation costs of purchased or replaced equipment, claim of customers, cost of money, any loss of use of capital or revenue, or for any special damage or loss of any nature arising at any time or from any cause whatsoever. Some States do not allow the exclusion or limitation of incidental or consequential damages, so the above may not apply to you. LIMITATION OF REMEDY: In the event of FellingTrailers, Inc. failure to repair the trailer subject to the warranty contained herein, the purchaser’s sole and exclusive remedy against Felling Trailers, Inc. shall be for the repair or replacement of any defective part or parts of the trailer subject to work or repair within the time period and manner set forth herein. This exclusive remedy shall not be deemed to have failed of its essential purpose so long as Felling Trailers, Inc. is willing and able to repair or replace defective parts in the prescribed manner. This warranty is not transferable by the original purchaser. Felling Trailers, Inc. reserves the right to modify or improve its products covered by this warranty. Q1 2019 – Gift Card Winners – Congratulations! Q4 2018 – Gift Card Winners – Congratulations! Q3 2018 – Gift Card Winners – Congratulations! Q2 2018 – Gift Card Winners – Congratulations! Q1 2018 – Gift Card Winners – Congratulations! Q4 2017 – Gift Card Winners – Congratulations! Q3 2017 – Gift Card Winners – Congratulations! Q2 2017 – Gift Card Winners – Congratulations! Q1 2017 – Gift Card Winners – Congratulations! Q4 2016 – Gift Card Winners – Congratulations! 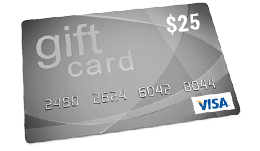 *Giftcards are drawn quarterly. Winners will be notified by Felling Trailers. No entry limitations.